SpokenWeb presents a reading series composed of re-playing entire recordings from the Sir George Williams Poetry Series. Readings will be held on the same day that they took place, years ago, at Concordia (then SGW University). Join us to listen, reflect, write, and respond to this experience of hearing, again, the mediated voice. 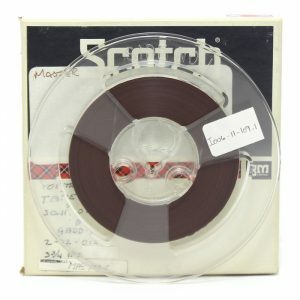 The term “ghost” used to describe this series refers to the voice that speaks in the present from the past through electronic archival media technologies. Recent scholarship (for example Jeffrey Sconce’s Haunted Media) has noted the historical preoccupation with connections between electronic media and spiritual phenomena. Our tape machines and then our computers in effect resurrect the ghosts of poetry readings past to speak again in the present. Further, the “ghost” reading recognizes the peculiar kind of presence that the voice can produce through mediated sound, alone. Voices from the past that once spoke with physical bodies are now resurrected in the present as vocalic bodies, a term that Stephen Connor describes as a form of dream, fantasy, ideal, or hallucination of voice projecting a new way of having or being a body, without the physical presence of the speaker herself. The Ghost Reading Series is designed to have us feel the presence of past literary events through the vibratory power of mediated voice. Recordings of literary events are often listened to in clips or in relation to specific poems; however, to change this kind of listener engagement, the Ghost Reading sets up an environment in which the recording can be played in its entirety. Listeners may choose to listen to the entire reading, or come and go as they wish, as though it is a sound installation. Relax, read, stretch, write, or listen. Listeners who stay for the conversation are invited to respond to what they have experienced during the group listening session. For more information about the Ghost Reading Series contact Dr. Katherine McLeod. The Ghost Reading Series is sponsored by the SpokenWeb, a seven-year research partnership funded by the Social Science and Humanities Research Council of Canada Partnership Grant program.